Milwaukee School of Engineering is a private, non-profit university offering bachelor’s and master’s degrees in engineering, business, mathematics and nursing. At MSOE, you will find a caring community of students and faculty. Together, we are committed to fostering a higher standard of academic programming and research, and personalized service, instruction and guidance. The world needs engineers who do more than excel in their field. It needs leaders, engineers who think in innovative ways, plan and manage projects and use technology to add value in their work. 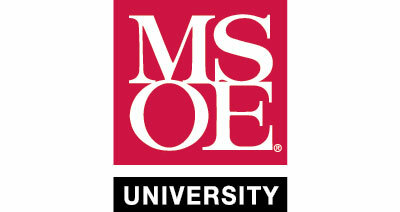 MSOE believes entrepreneurially minded engineers are critical to the future competitiveness of the United States. Through their involvement with KEEN, MSOE is well-positioned to be among the world’s best universities in the preparation of future engineering leaders. "Being part of a network of educators who care deeply about improving undergraduate engineering education has been inspirational both from a personal and professional perspective. I have enjoyed learning from others in the Network as well as encouraging those that I have the privilege to lead to get involved in the KEEN initiative. "